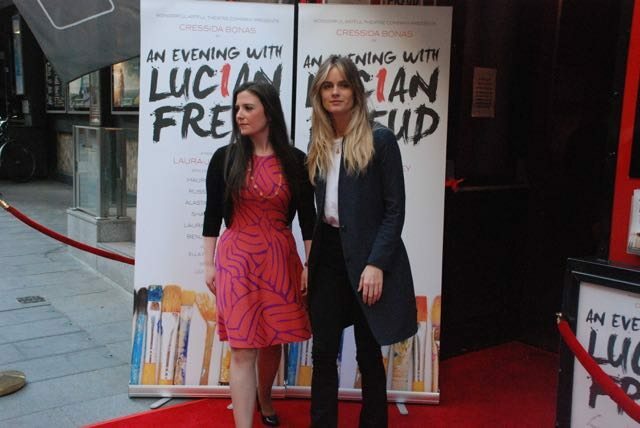 I was there last night at the press night of “An Evening With Lucian Freud” starring Cressida Bonas in a one woman show at the diminutive Leicester Square Theatre. Cressida stars as “Laura” in the world premiere which takes us inside Lucian Freud’s studio and lays bare the fascinating and complex character of one of the greatest artists of the 20th Century. 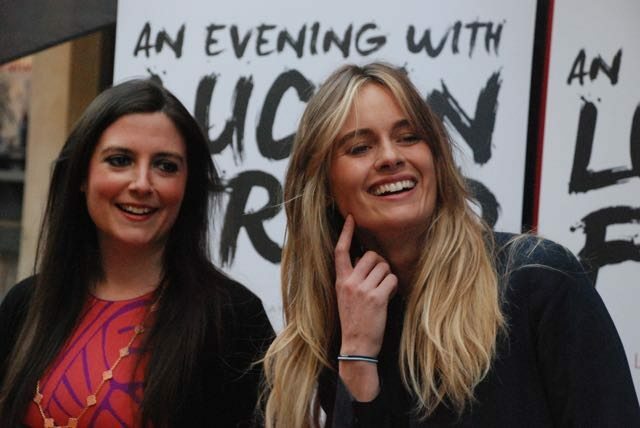 I wonder what Lucian himself would have made of it – he was renowned for using people to make art before casting them aside and Laura-Jane Foley, the writer, has instead turned the spotlight on him and dissected his character bit by bit. An interesting examination of an extraordinary life, clearly very well-lived. Apparently he had millions of offspring. I can’t remember the number quoted in the play and anyway the official number is considered far too low. Apparently his muses tended to become his lovers and his lovers his muses, so no wonder he was such a prolific painter! The general consensus seemed to be that he treated his models very badly as he had such demanding expectations, but that it was their choice. “Everyone thinks that they’re special and that this time it will be different” says Laura during the play…. 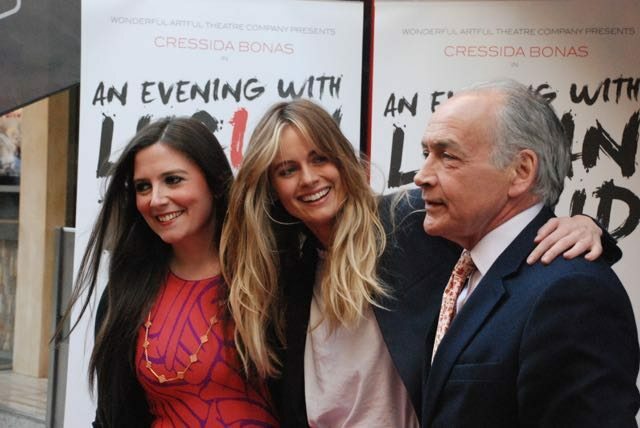 Laura-Jane went through 800 CVs and showreels and met over 20 women for the role of Laura, before choosing Cressida. “She was just perfect for the role” she said last night. “Aside from being a supremely talented actress, she brought a different energy to the room. She was enchanting and absolutely compelling to watch, qualities that are incredibly important when you’re casting a one woman show”. Well that is certainly true – I don’t think I’ve ever before shared such an up close and personal space with an actor, let alone just one. Cressida was mesmerising – she is very beautiful and fluid – I hadn’t realised she was trained as a dancer at the Royal Ballet School – you can tell and the role is quite demanding physically which she masters to perfection. She didn’t seem at all phased by having the audience so close to her and managed to keep us all entranced under her very beautiful gaze. 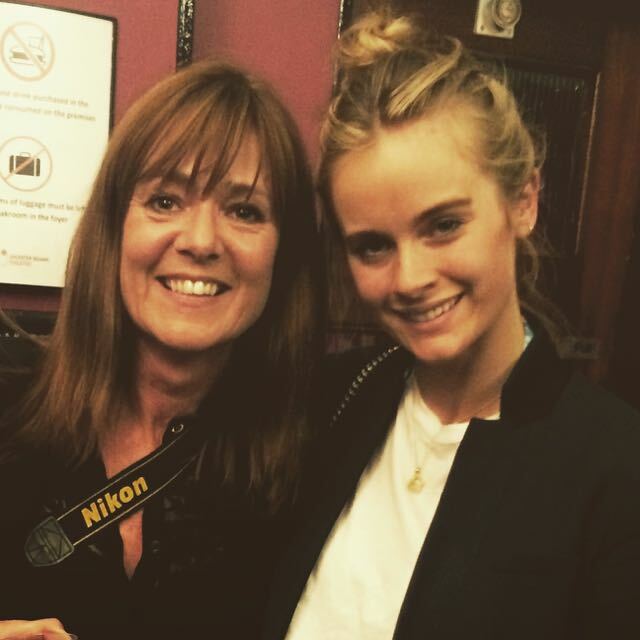 Her parents were there to support her last night – both very proud, together with lots of her close friends and family. 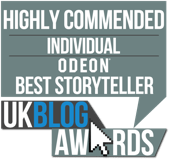 I really enjoyed it, she’s done a brave thing – it’s not easy to perform like that, especially with all the press interest there is in her currently – so good for her. As we discussed with her before the play – it’s good to scare yourself shitless a little bit every day – that’s how we grow – I find I mostly do that every day since my divorce….although it was me that said that, she said it in a far more refined way that “it was good to be nervous”. It was a lovely warm affair last night with everyone very gushing about how hard she’s worked and how great her performance had been. The play is only on until the 6th June, so hurry up! 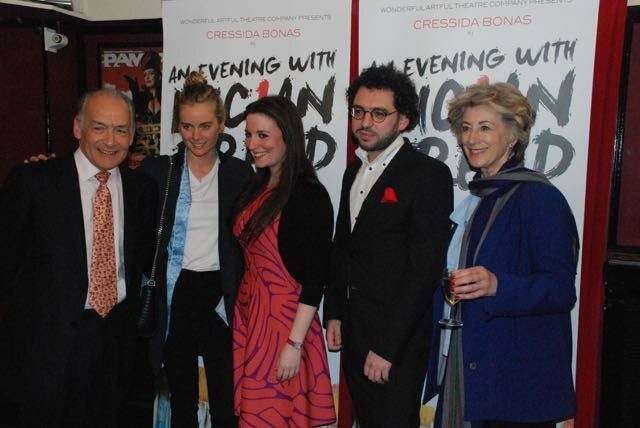 Good performance by Cressida, but important to remember that that performance has been drawn out of her by the director, Ella Marchment, who at 22 is already known for her work in theatre and opera (including at the Royal Opera House). Credit also to the design and production team. This is largely a female production: lead actor, writer, director, designer, etc. A fact we should all celebrate, especially for a West End show.